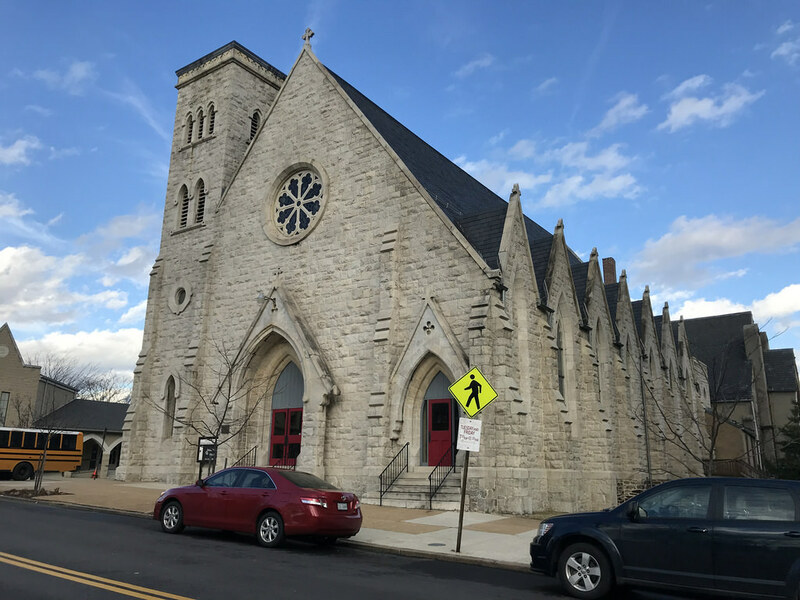 Founded in 1824, St. James’ Episcopal Church is the nation’s second oldest African Episcopal congregation and the first Episcopal church organized by African Americans south of the Mason-Dixon line. Since 1932, the congregation has occupied a historic sanctuary at the northeast corner of Lafayette Square Park in West Baltimore. Built for the Episcopal Church of the Ascension from quarry-faced, white, Beaver Dam marble, the building was designed by the Baltimore architecture firm of Hutton & Murdoch. In 1866, the church left their original 1840 building on Lexington Street near Pine for a corner lot in what was then one of Baltimore’s emerging, fashionable neighborhoods. The structure is sparingly ornamented on the exterior, relying mostly on texture, repetition, a limited repertory of Gothic revival architectural motifs (buttresses, pointed arches, a rose or “wheel” window, and stained glass), and a massive gable roof to communicate a sense of religiosity and permanence. The building originally featured a wood-framed spire atop its northwest tower rising to a height of 120 feet. In 1876, the church added on a parish house designed by architect Frank E. Davis which shows a keen sensitivity to Hutton & Murdoch’s 1867 Gothic revival design. In 1932, the Church of the Ascension sold the building and St. James’ Episcopal Church, then led by Rev. George Bragg, moved to Lafayette Square. Rev. Bragg may be little-known by most Baltimoreans today, but he served as pastor of St. James Church for over forty years. His visionary leadership of St. James is matched by his legacy as a co-founder of the Afro-American newspaper, as well as an historian and a political advocate. 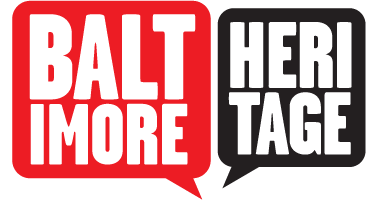 His life and work reflected the growing strength of Baltimore’s black community in the early 1900s. Born in North Carolina on January 25, 1863, George Freeman Bragg's early years were shaped by the Civil War and Reconstruction. Ordained as a deacon in Virginia in 1887, Bragg entered the priesthood in 1888 and arrived in Baltimore in 1891 with a passion for fostering independent leadership within the black church. He joined the 66-year old St. James’ Church that was then located downtown at Saratoga Street and Guilford Avenue. 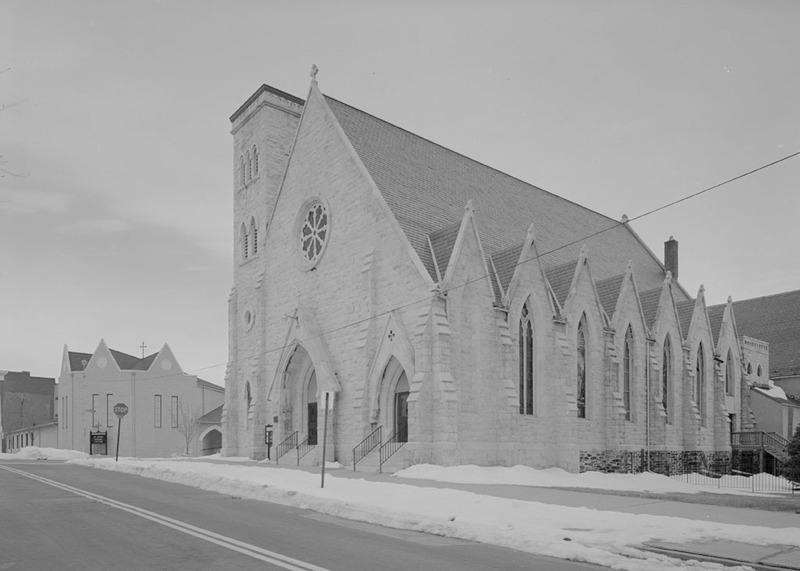 In 1901, Bragg led his church to a new building in northwest Baltimore at Park Avenue and Preston Street. When middle-class African Americans in his congregation continued to move even farther west, Bragg moved St. James again to Lafayette Square in 1932 where they celebrated their first service on Easter morning. The move reflected a major change in the neighborhood as four African American congregations moved to Lafayette Square between 1928 and 1934. Rev. Bragg lived on the Square and remained active in the city’s political and civic life until his death in 1940. “Saint James' Episcopal Church,” Explore Baltimore Heritage, accessed April 19, 2019, https://explore.baltimoreheritage.org/items/show/248. Published on Apr 28, 2013. Last updated on Nov 27, 2018.